This free sample gives you the opportunity to try out the new Derwent Lightfast colour pencil range. The Lightfast range offers a 100% oil-based coloured pencil. 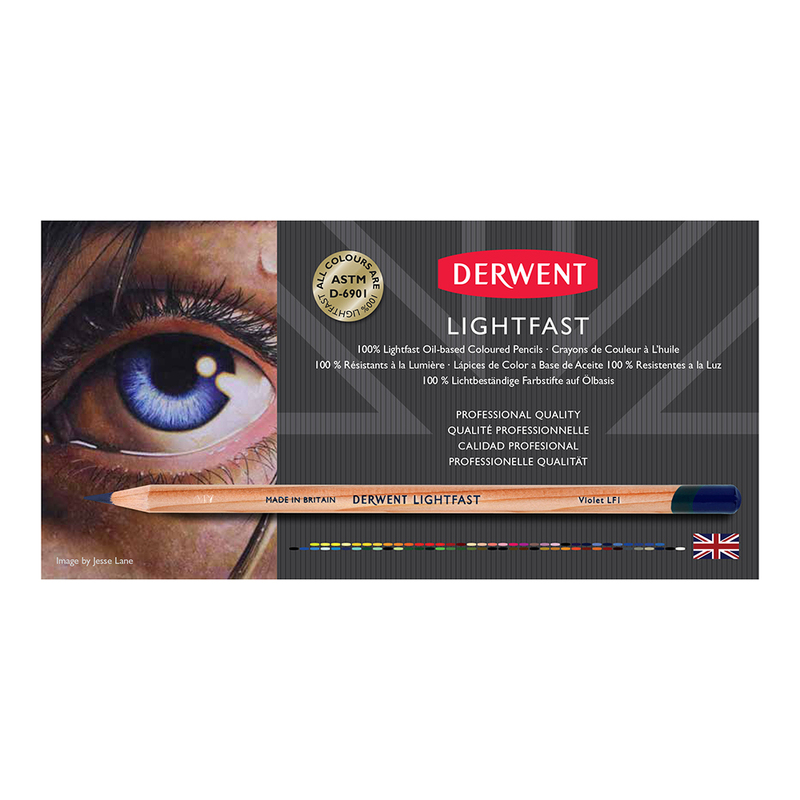 After much research and development, Derwent perfected the formula to provide professional pencil artists with a lightfast colouring tool with a smooth texture. This pencil offers dense colour application and their thick colour strips laydown vibrant smooth colour with ease. They can even be used with solvents, like turpentine, to blend colour and give painterly effects. One free pencil sample per order. Colours will vary dependent on stock. Must be ordered with other paid for items; free sample will not be sent out on its own. The 1p price of the samples will be deducted from paid for orders. Find our Derwent Lightfast Pencil Tin Sets by following the link.